The NW Hygiene’s disposable aprons and sleeve covers form part of NW Hygiene product offering and covers a range are both cost effective and economical products made from Polyethylene (PE) – the perfect solution for basic protection and hygiene. PE aprons and PE sleeve covers are ideal and, sometimes, mandatory in some commercial industries i.e. restaurants, hospitals and more. 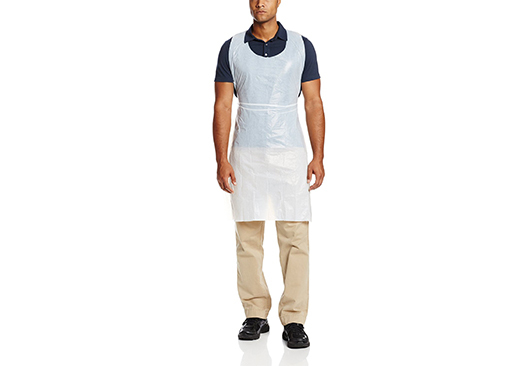 A disposable PE Apron is an outer, protective garment that covers the front part of the body and typically used in the food, beverage and pharmaceutical industries. The PE Apron must be worn for hygienic reasons and to protect clothes. It may also be essential for protecting the wearer from chemicals and potent sprays / splashes. 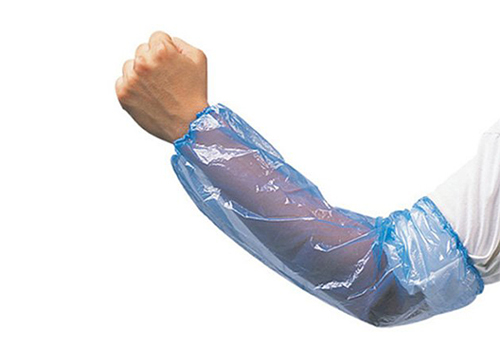 Disposable non-woven sleeve covers help create a protective barrier for those involved with food processing and handling, manufacturing, farming, painting, gardening, household cleaning, cooking, laboratories, hospitals, food processing and more. 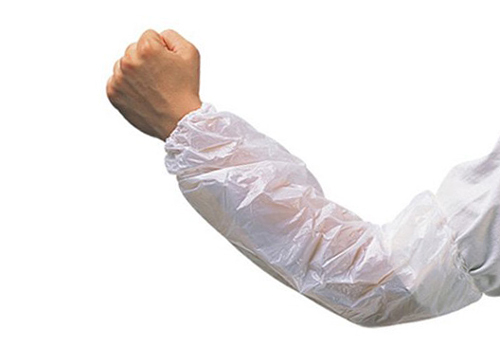 Disposable PE Sleeve Covers are an economical and convenient way for those involved in the food and beverage, hospital, hotel, beauty salon, laboratory industries and more to protect themselves from dirt, chemicals, oils and other harmful substances.